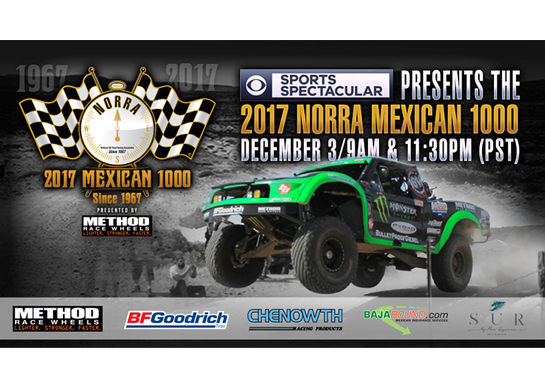 We have returned off-road motorsports to its roots — comaraderie, hot rodding and fun! 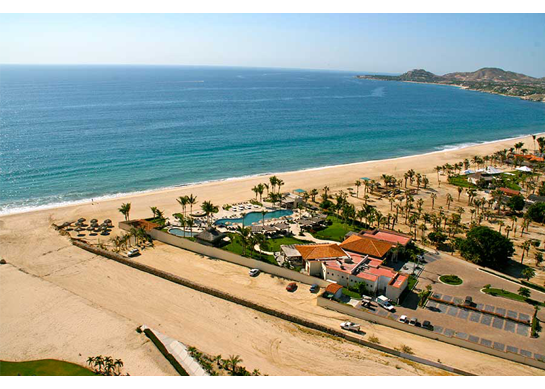 The Mexican 1000 Rally is a fully-supported on-road/off-road rally open to vintage and modern vehicles. 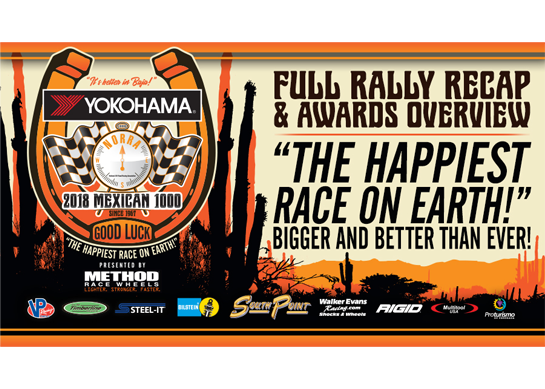 It will be excitement-filled, with high-performance driving, incredible scenery and world-class adventure. 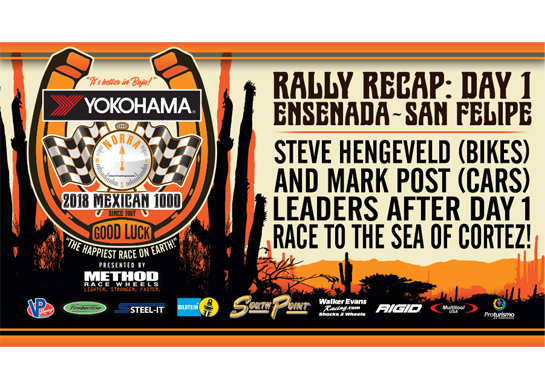 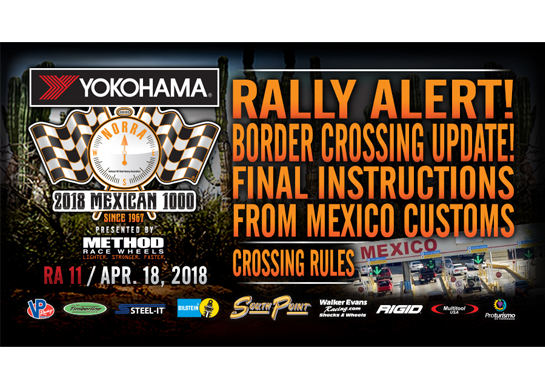 2018 YOKOHAMA NORRA Mexican 1000 - Rally Recap Day 5: Full Rally Recap & Awards Overview. 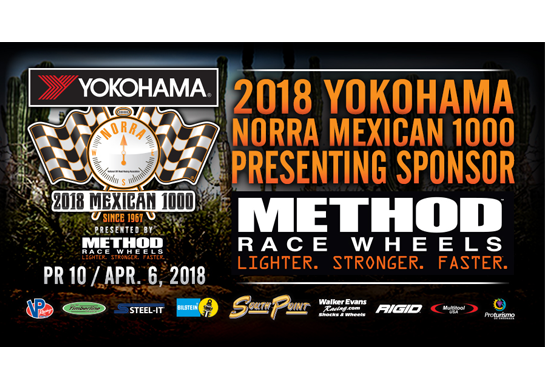 The 2018 Yokohama NORRA Mexican 1000 presented by Method Race Wheels was bigger and better than ever! 2018 YOKOHAMA NORRA Mexican 1000 - Rally Recap Day 4: Loreto ~ La Paz. 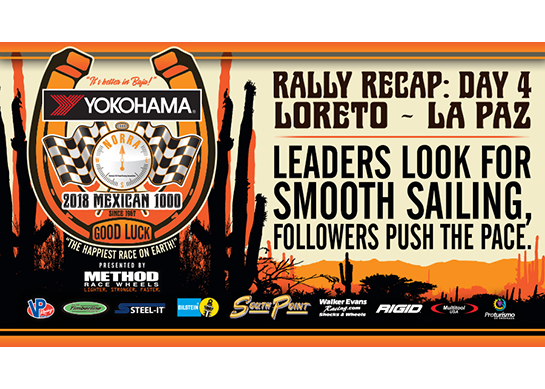 Leaders Look For Smooth Sailing After Day 4, While Those Behind Willing To Push The Pace. 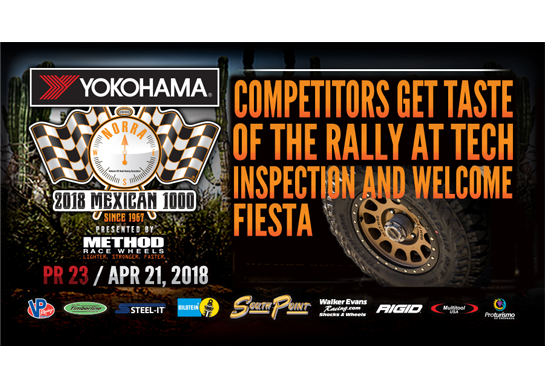 NORRA 2018 PR23 - 2018 YOKOHAMA NORRA Mexican 1000 - Competitors Get Their First Taste of the 2018 YOKOHAMA NORRA Mexican 1000 at Tech Inspection and Welcome Fiesta! 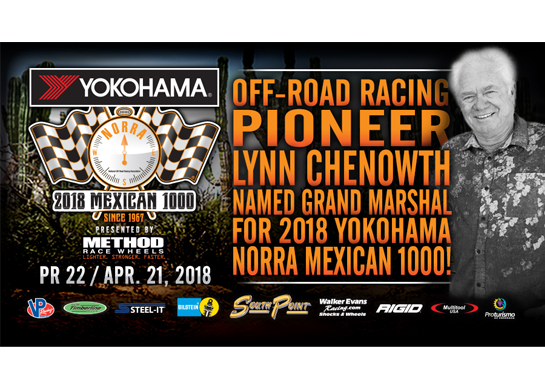 NORRA 2018 PR22 - 2018 YOKOHAMA NORRA Mexican 1000 - Off-Road Racing Pioneer Lynn Chenowth Named Grand Marshal For 2018 YOKOHAMA NORRA Mexican 1000! 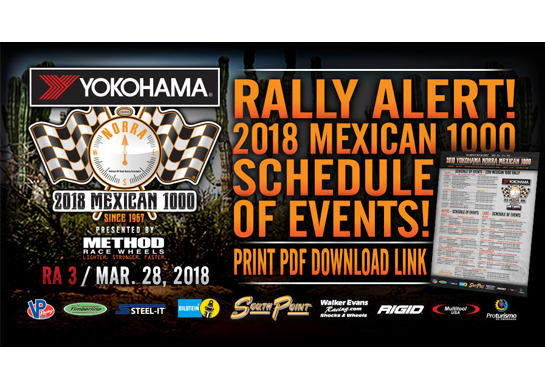 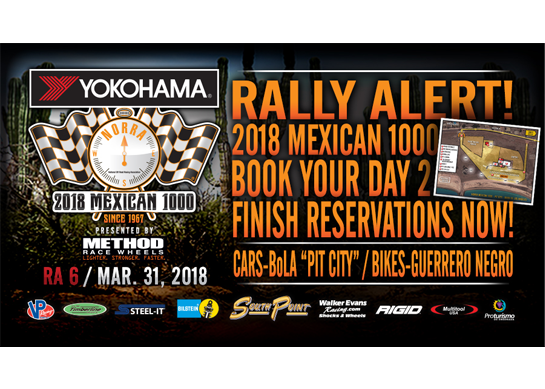 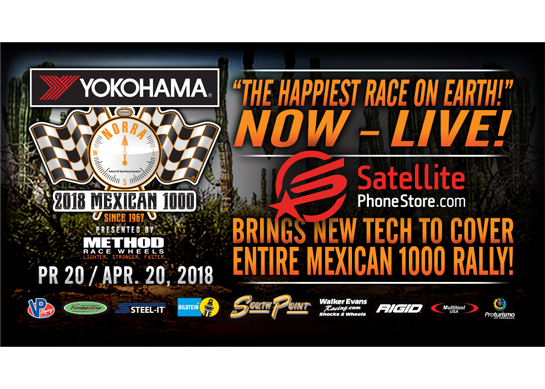 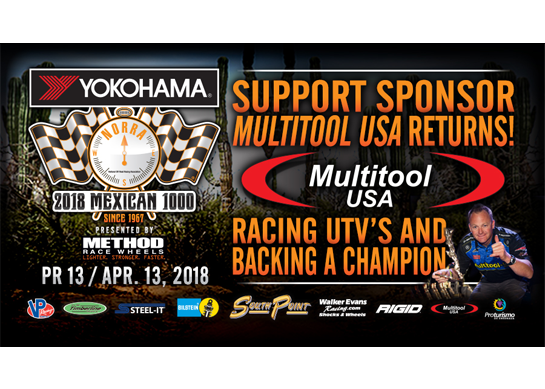 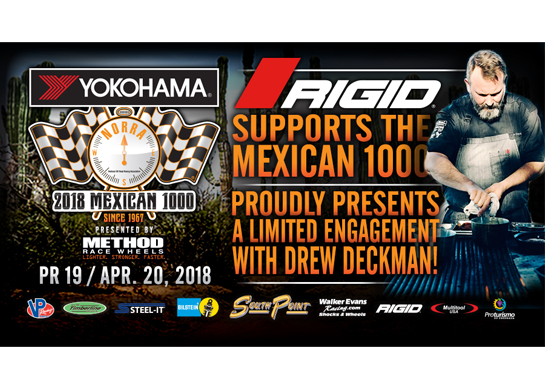 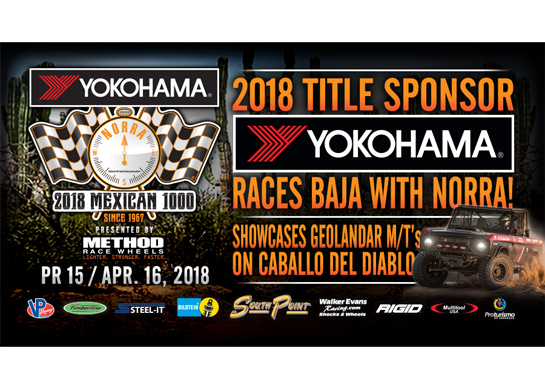 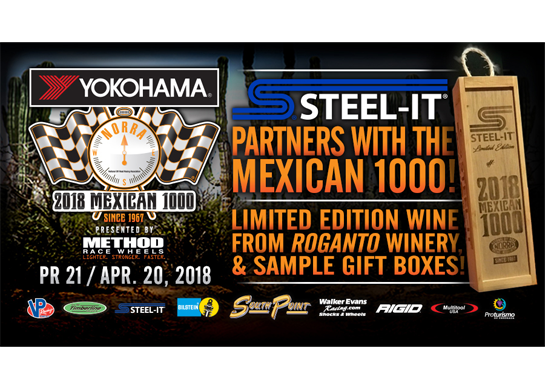 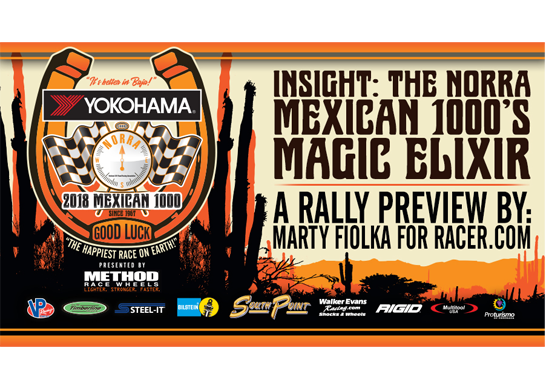 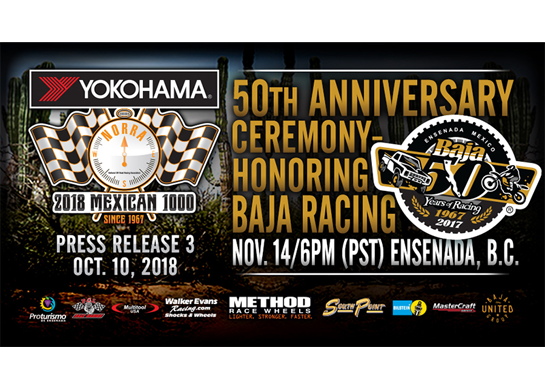 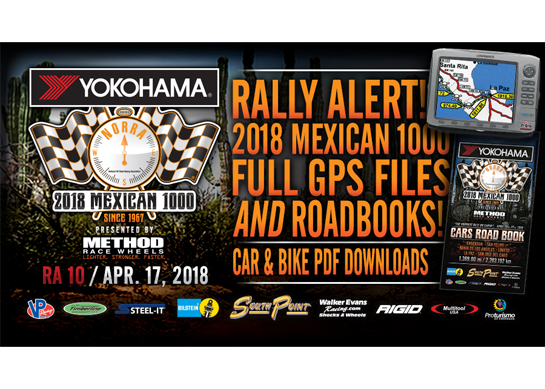 NORRA 2018 PR19 - 2018 YOKOHAMA NORRA Mexican 1000 - RIGID Industries Supports Mexican 1000 - Presents Limited Engagement With Baja Star Chef Drew Deckman! 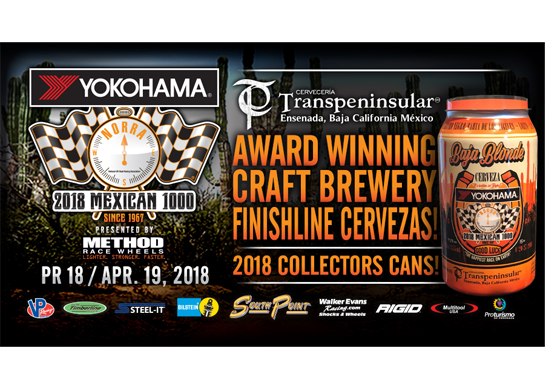 NORRA 2018 PR18 - 2018 YOKOHAMA NORRA Mexican 1000 - Award Winning Cerveceria Transpeninsular Craft Beer Brewery Supplies Finishline Cervezas - Collectors Cans For Rally! 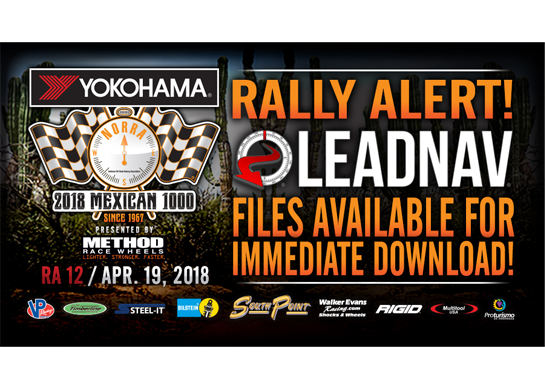 NORRA 2018 RA12 - 2018 YOKOHAMA NORRA Mexican 1000 - NORRA & LeadNav Work To Improve Navigation & Safety - 2018 Files Posted For Download! 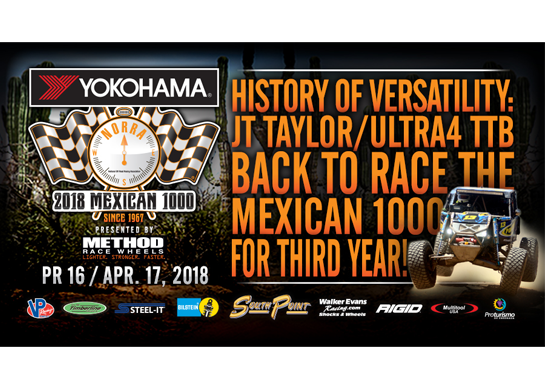 NORRA 2018 PR17 - 2018 YOKOHAMA NORRA Mexican 1000 - BILSTEIN Forging The Future With The Mexican 1000. 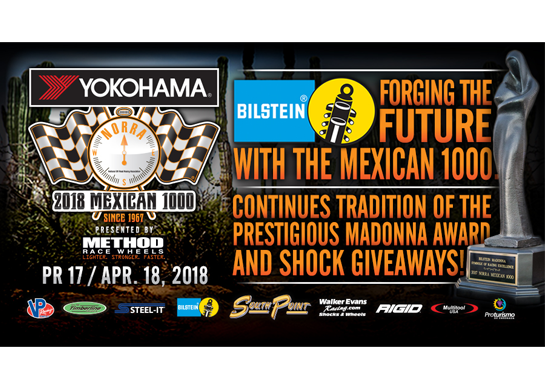 Continues Tradition Of The Prestigious Madonna Award. 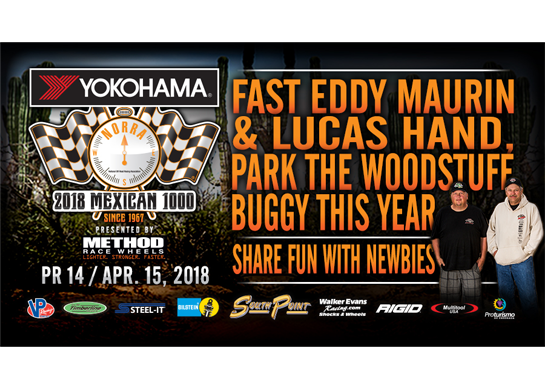 NORRA 2018 PR14 - 2018 YOKOHAMA NORRA Mexican 1000 - Fast Eddy Maurin and Lucas Hand, Park The Woodstuff Buggy For This Year's Norra Mexican 1000. 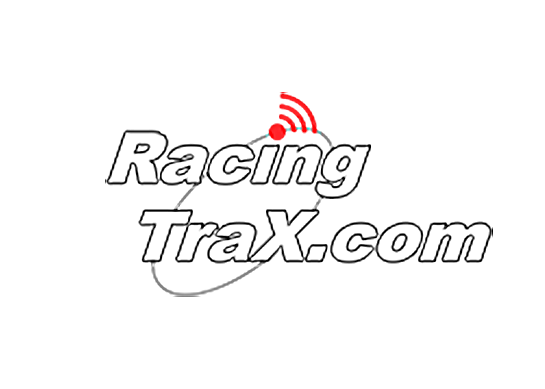 Share The Fun With Newbies. 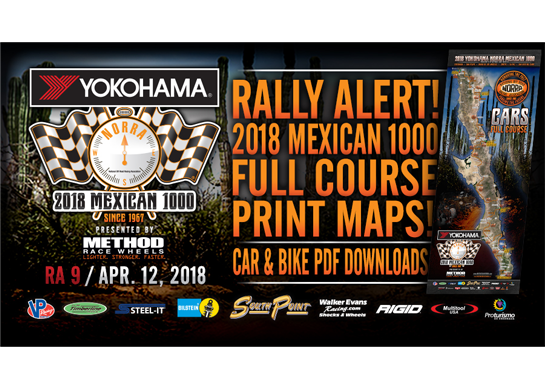 NORRA 2018 RA9 YOKOHAMA NORRA Mexican 1000 - NORRA Releases Full Course Maps For Cars & Bikes! 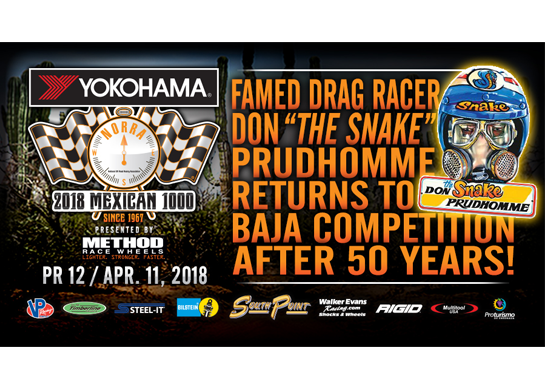 NORRA 2018 PR12 YOKOHAMA NORRA Mexican 1000 - Famed Drag Racer, Don "the Snake" Prudhomme Returns To Baja Competition After 50 Years! 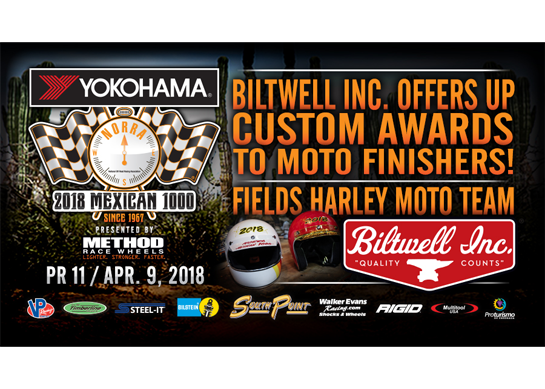 NORRA 2018 PR11 YOKOHAMA NORRA Mexican 1000 - Sponsor Biltwell Inc. Offers Up Two Special Awards To Motorcycles In San Jose del Cabo & Fields Harley Team! 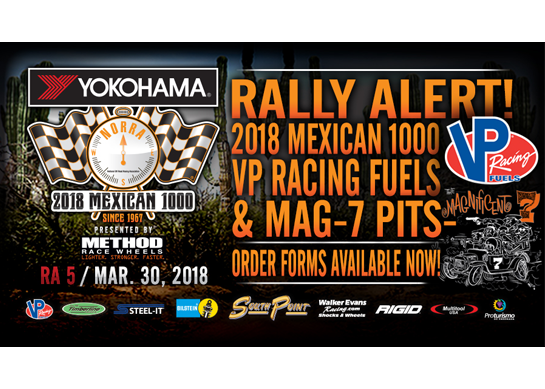 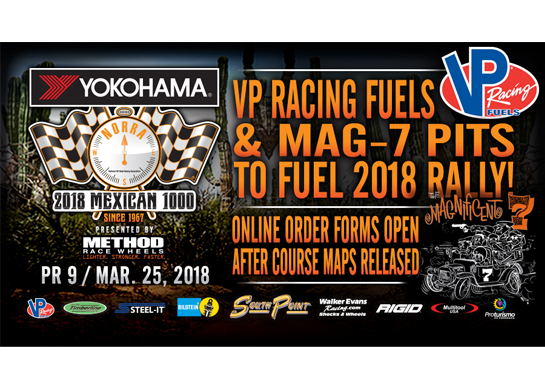 NORRA 2018 RA5 YOKOHAMA NORRA Mexican 1000 - VP Racing Fuels & MAG-7 Pits Order forms Available Now! 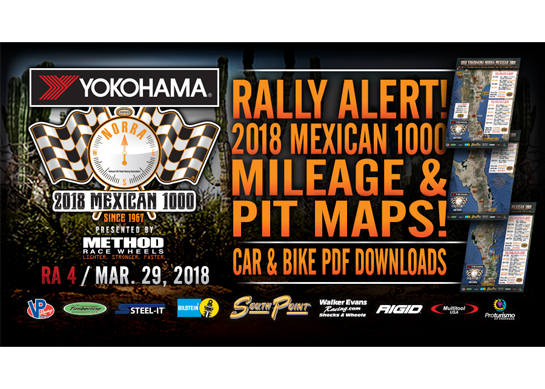 NORRA 2018 RA2 YOKOHAMA NORRA Mexican 1000 - RALLY ALERT! 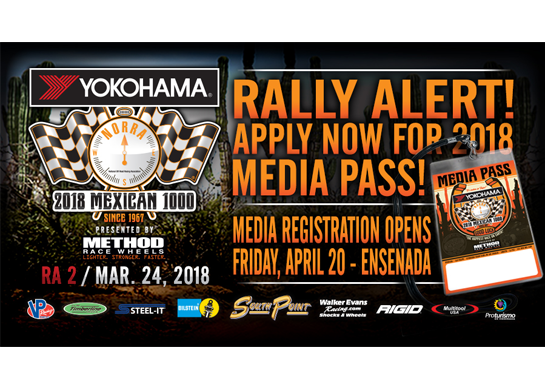 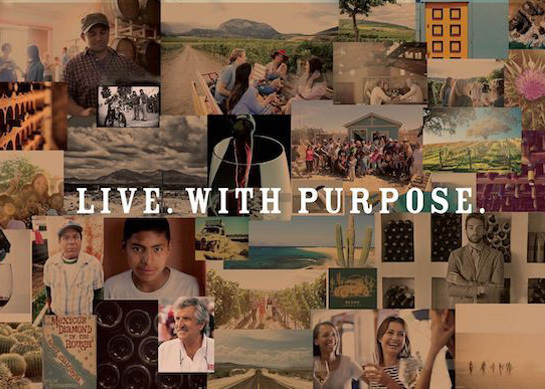 - Apply For 2018 Media Pass! 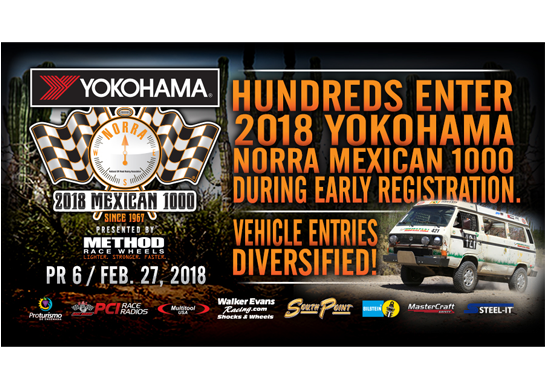 NORRA 2018 PR5 2018 YOKOHAMA NORRA Mexican 1000 Pre-Registration Closes Dec, 31 at Midnight (PST). 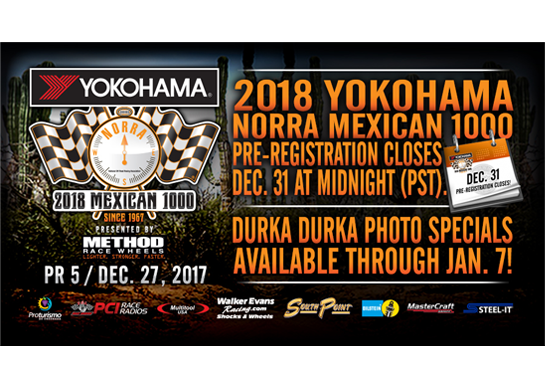 Photo Special For Registered Teams Through Jan. 5 from Durka Durka Photo! 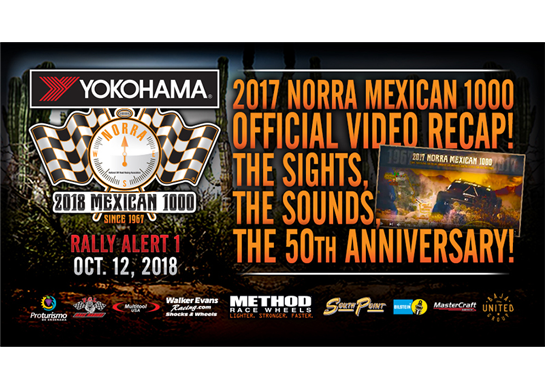 NORRA 2018 RA1 The Official 2017 NORRA Mexican 1000 Video Recap! 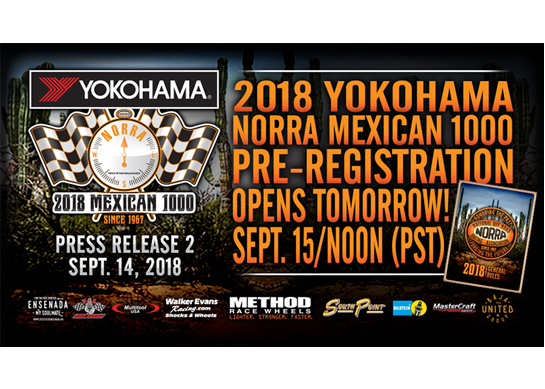 NORRA 2018 PR2 9/14/17: YOKOHAMA NORRA Mexican 1000 PRE-REGISTRATION OPENS TOMORROW! 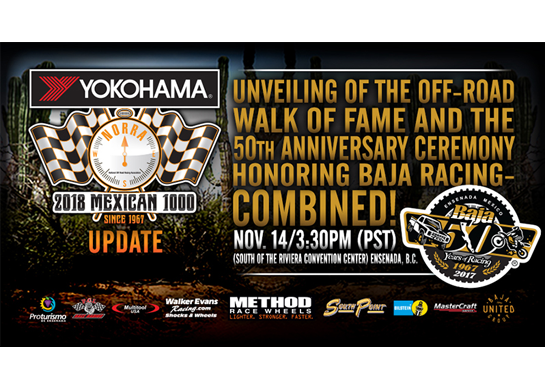 SEPT. 15 AT NOON (PST)! 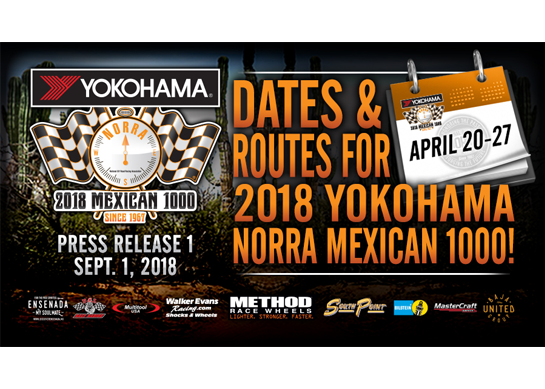 NORRA 2018 PR1 9/1/17: Dates & Routes Finalized for 2018 YOKOHAMA NORRA Mexican 1000!